It's spring! I have seen the first snowdrops who looks up and the ice on the lake outside my house has melted and is soon gone for this winter. Lovely! This spring carries spring joy at another more personal level, too. All my life I have been really hard with spring allergy. Alder and hazel, the very first that comes out in the spring. Before I've quickly made an appointment with the doctor and received strong medicine prescribed. Then I've managed to sing and perform again. Fresh apples, raw carrots, hazelnuts, almonds, etc. I have not been able to eat, it has been terribly scratching in my throat when I tried. But now all allergy has vanished. I know nothing of the hazel I have in my garden, the other day I ate for the first time a truly healthy and beautiful apple and yesterday I ate grated carrots for dinner. It's incredible! 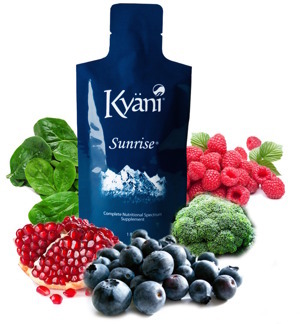 Do you want to try this yourself you can order Kyani here: lenamariak.kyani.net Your order is sent directly to your home. This month I celebrate 25 years as an artist! To celebrate this I release a new CD, all songs in Swedish called "Lyckliga dagar" (=Happy Days) plus another "best of" album with 3 CDs with songs from the ten CDs I've released in Sweden. Next year I celebrate 25 years in Japan!! !